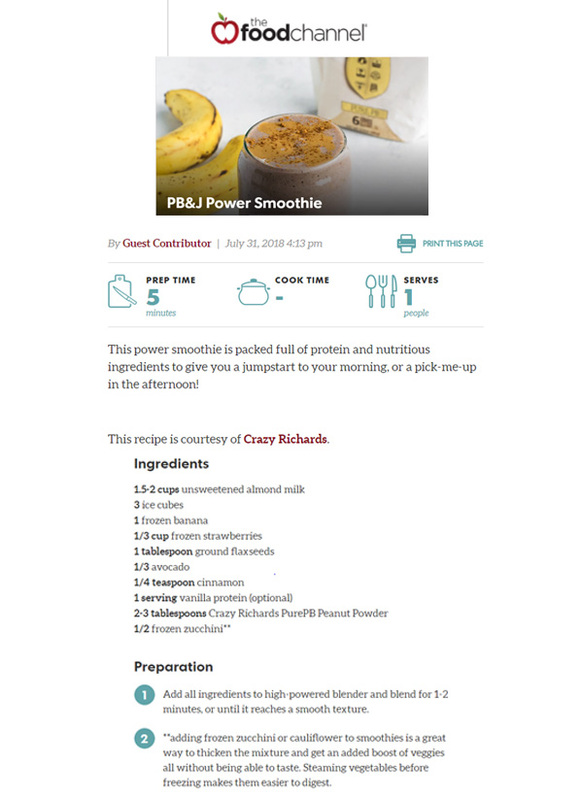 This power smoothie is packed full of protein and nutritious ingredients to give you a jumpstart to your morning, or a pick-me-up in the afternoon! Find original post on the Food Channel HERE or get this recipe HERE. 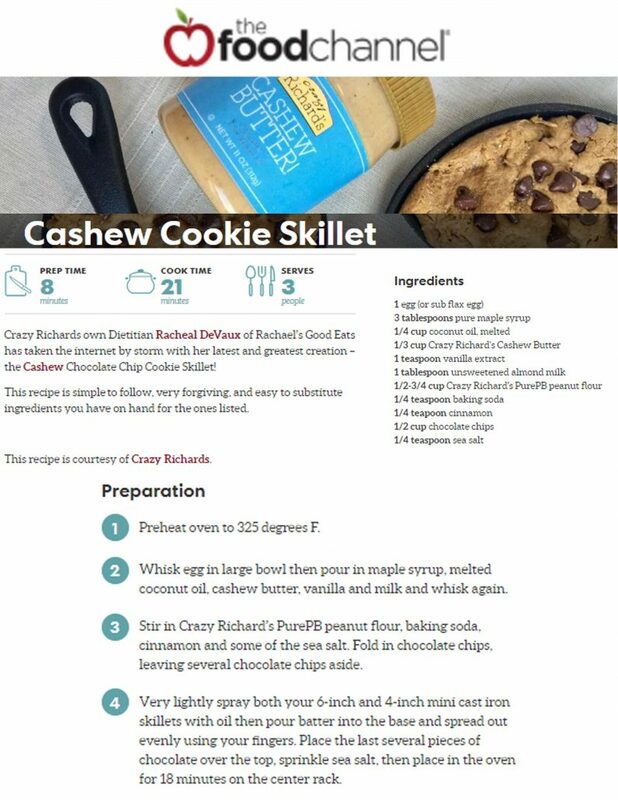 Crazy Richards own Dietitian Racheal DeVaux of Rachael’s Good Eats has taken the internet by storm with her latest and greatest creation – the Cashew Chocolate Chip Cookie Skillet! This recipe is simple to follow, very forgiving, and easy to substitute ingredients you have on hand for the ones listed. FInd the original posting on the Food Channel HERE or find the direct link to the recipe HERE.